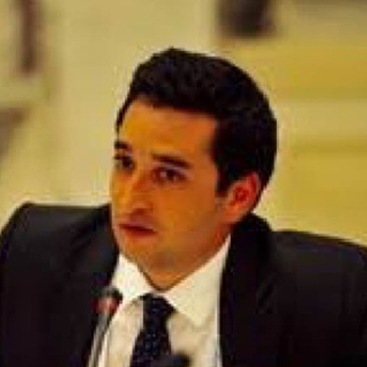 ,Mr. Can ÖĞÜTÇÜ, Enlargement Officer for the International Energy Charter Secretariat based in Brussels, works on the accession of new countries to the Energy Charter Treaty as well as investment reviews for countries. He can be contacted at can.ogutcu@encharter.org. Mr. Can has been working on energy security and the implications of the energy transition for more than 5 years both as a banker and analyst in the private sector and as an international organisation staffer. At the International Energy Charter Secretariat, based in Brussels, he is currently in charge of relations with observer and non-member countries, particularly for investment climate issues. He supports non-member accession to the 54 member State Energy Charter Treaty. Mr. ÖĞÜTÇÜ has actively participated in the G-20 Energy Sustainability Working Group Meetings in 2015 dealing with access to affordable energy and the need for investments in the energy sector despite commercially and legally challenging environments. Previously he was working in the banking sector in the Emerging Markets Mergers and Acquisitions team of Rothschild & Cie in Paris, working on large scale energy projects in the MENA and the CIS regions. He is a law graduate of the London School of Economics and Political Sciences, UK. Mr. Can ÖĞÜTÇÜ writes extensively on new energy transitions, investment and access to clean, affordable energy. His recent publication related to "Stimulating energy investments in an era of low oil prices and de-carbonisation" can be accessed respectively.